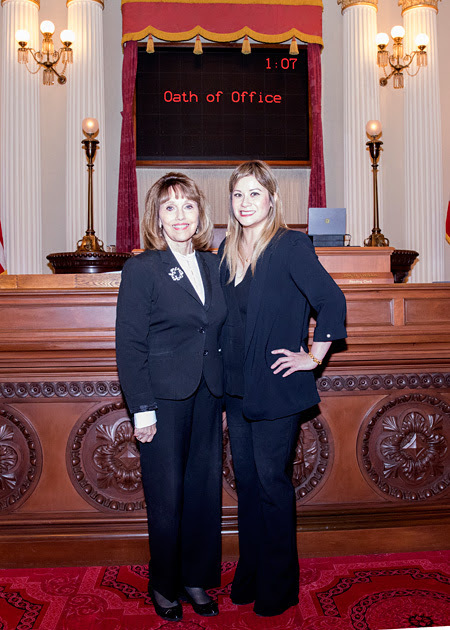 SACRAMENTO – Senate Republican Leader Patricia Bates (R-Laguna Niguel) welcomed Senator Ling Ling Chang (R-Diamond Bar) to the California State Senate at her swearing-in ceremony. California Chief Justice Tani G. Cantil-Sakauye administered the oath of office. Senator Chang will serve the residents of California’s 29th Senate District, covering portions of Orange, Los Angeles, and San Bernardino counties. “Congratulations to Senator Ling Ling Chang! My Senate Republican colleagues and I welcome her to Sacramento. She’s no stranger to public service as she previously served on the local level and in the State Assembly. As a newly-sworn member of our Republican Caucus, I know Senator Chang will be a strong advocate for her constituents and will ensure they have a voice at the State Capitol,” said Leader Bates.